on the Queen's Birthday holiday! Who cares, I do!!! Send it this way if she turns up her nose! Look at this! Love it, Suz. What's your backing? Lovely Liberty! 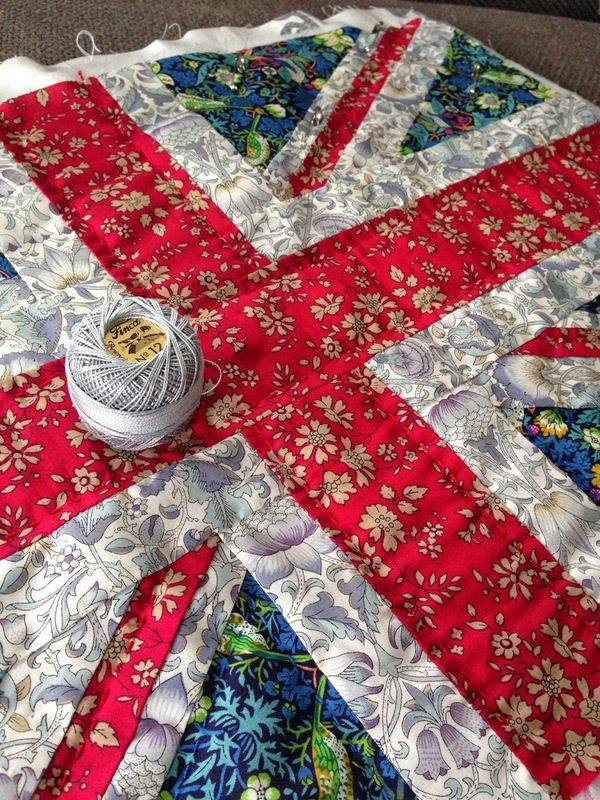 What a great idea to make a Union Jack. Oh she would love it! I know I dire fo! Perfect for the Queen's birthday holiday! If she doesn't, please send it to me! Best Union Jack ever!! It's completely gorgeous. Love the red and gray combination! And the hand quilting...perfect. I really like this cushion! Perfect fabric AND quilting. Love this and Love Liberty! Yeah!! 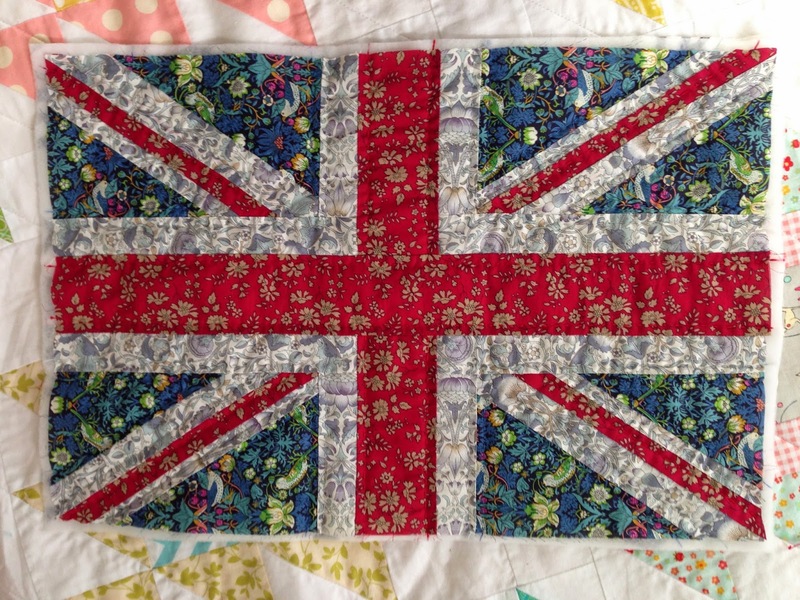 I'm in the middle of making a whole quilts worth of Union Jack blocks. Yours turned out lovely!! How perfect! If she doesn't like it she can send it my way! She would be crazy not to love it ;-))) !!!!!! Of course she will. Looks fantastic. 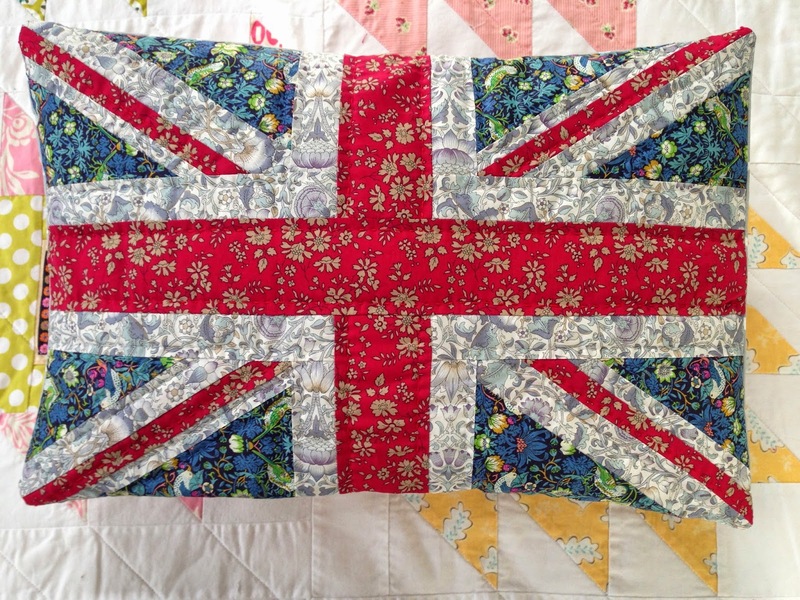 It's delightful Suz, prettiest Union Jack I've ever seen. Who wouldn't like it?? It is stunning. I love it. I love your version. I have this on my list to do. Your choice of fabrics is stunning. It might help me with my own fabric choice.